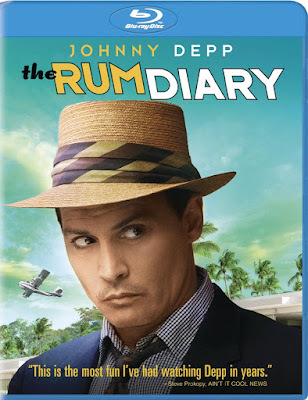 Johnny Depp starred in the intriguing drama movie called The Rum Diary, which was based on the book of the same name by Hunter S. Thompson, was set and filmed in San Juan, Puerto Rico and was released on October 28, 2009. It also starred Amber Heard, Aaron Eckhart, Giovanni Ribisi, Richard Jenkins, Amaury Nolasco, Michael Rispoli and Marshall Bell. The Telegraph said, "This is a film about lunacy without the fizz of a lunatic at its heart." Cinematic Corner said, "...it's still a very entertaining and funny ride. And there is plenty of crazy situations and drunken haze in it." The Rum Diary is another Depp movie that was highly anticipated and with which I was disappointed. However, my disappointment stemmed from the subject matter of the film, which was grittier than I like and rated R, and not because of Johnny Depp's performance. Watch the movie trailer here and you will quickly see how gritty this film is. If you think you might like the movie or you want to check it out anyway, you might also consider reading the book by Hunter S. Thompson. It was written in 1959 but only published more recently in 1998. Amazon says that the story is a high paced and exciting one and the characters are "violent, maniacal and alcoholic." Definitely an interesting look back into the 1950s, Puerto Rico and journalism. 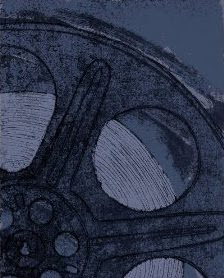 Click here to buy the movie or the book from Amazon. Please note that I this post was originally written for and posted on another website.